Heavy-duty dolly. 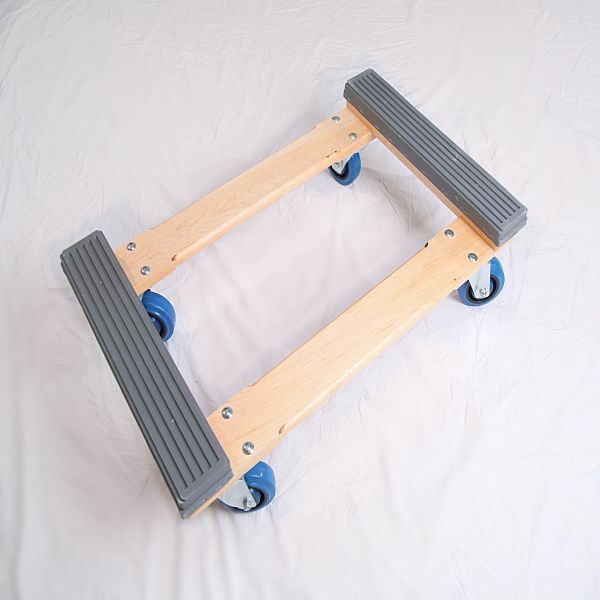 Perfect for pianos or any other item that needs extra strength in moving. This sturdy moving dolly is constructed of solid Maple hardwood with mortised frame ends bolted together to keep the dolly square. Slip resistant rubber end Grip-Guards. 4" ball bearing swivel casters and solid rubber wheels make maneuverability easy. 30" x 18" x 7-1/2" high.